Seattle, Washington and Atlanta, Georgia – Enterprise risk management (ERM) expert and speaker Gary W. Patterson, FiscalDoctor®, book website http://www.milliondollarblindspots.com/ is now available. 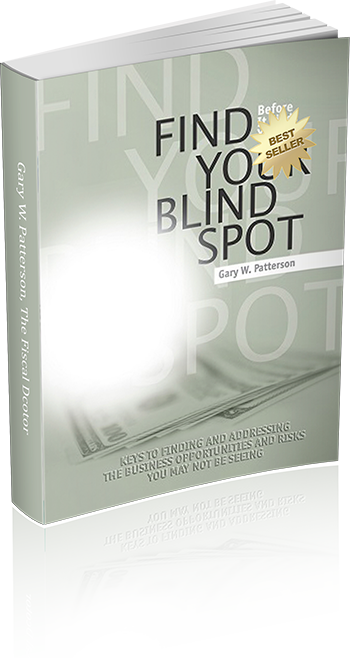 Million Dollar Blind Spots best practices and processes will create clear understanding to uncover blind spots in your company—and will dramatically accelerate correct business leadership decisions. From the management of individuals, teams, departments, companies and divisions, there’s a potent mix of solutions in here you need to read, bookmark and make your own. Use this guide to grow efficiently, master real-world numbers, and identify and eliminate your organization’s costliest blind spots. The book is part of the series including “Million Dollar Blind Spots”, followed by “Why Risk Management? 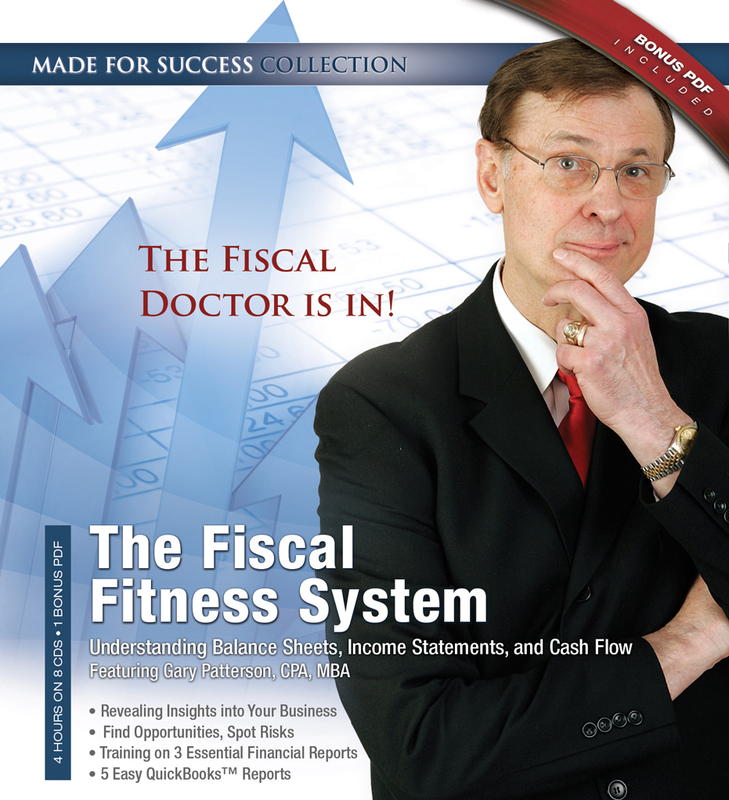 : Systems for Making Informed Financial Decisions”, and then “Human Capital RX: The Fiscal Prescription for a Stronger HR Department. Patterson works with leaders to uncover blind spots to make the best business decisions and dramatically accelerate correct fiscal leadership decisions. This helps leaders gain control of their financial destinies and capitalize on hidden high return opportunities, while limiting their exposure to risk. Patterson, a Big 4 CPA with a MBA degree from Stanford University, speaks regularly on topics such as corporate governance, risk management, strategic contingency planning, achieving corporate financial goals, leadership, and building long-term wealth. Gary W. Patterson, president & CEO of FiscalDoctor®, has been interviewed or presented internationally at over 70 of the leading and most prestigious publications and groups in the world and worked with over than 200 companies spanning supply chain, technology, transportation, construction, and service industries. 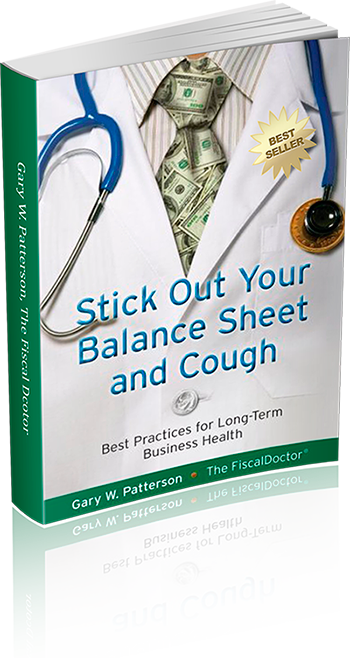 He authored “Stick Out Your Balance Sheet and Cough: Best Practices for Long-Term Business Health”, “The Fiscal Fitness System Understanding Balance Sheets, Income Statements, and Cash Flow” and “Find Your Million Dollar Blind Spots: 7 Thing You Need to Know”. For more information, visit his website at www.fiscaldoctor.com and his “free” fiscal fitness test at www.fiscaldoctor.com/fiscaltest.html. He can be reached at 678-319-4739.